winter is reaching its end and my nemesis, dry skin, is rearing its ugly head. there are few things more irritating than applying your makeup and upon closer inspection finding flaky skin over your forehead, chin, cheeks - well, you get my point. the only solution is to try and rub it off, and in doing so rub off your makeup, or to try and apply some more moisturizer, which also ruins your makeup. it is a lose/lose situation. so how do you fix the annoying dandruff of the face? it is actually quite easy with the right tools. first, good skin care. i am a loyal advocate for good skin care and while i don't think there is one magical product, i do find that there are good options for specific problems and each set of problems could use a new solution. 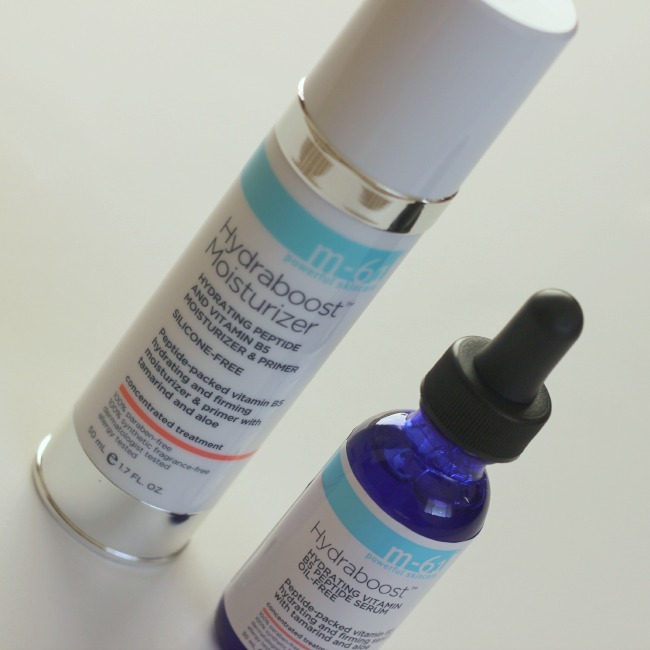 my dry winter skin needs major hydration which i found in M-61 Hydraboost Moisturizer and Hydraboost serum. the serum is a vitamin B5 peptide serum that hydrates and firms the skin. the silicone-free moisturizer works to hydrate and prime the skin prior to makeup application. this concentrated treatment has worked wonders on my dry, flaky skin. after learning that founder of Bluemercury M-61 skin care took into consideration her extensive career in the spa industry as well as the input of over 300 makeup artists and estheticians, it is no wonder that i am in love with these products. they are designed with makeup application in mind. so they work. they work well. and they work great with makeup. my secondd solution to dry, flaky winter skin is an inexpensive solution. when that flakiness gets too flaky to bear, i invest a penny in a teaspoon of Baking Soda. yes, Baking Soda. that is my second solution. mixing a little Baking Soda with some water makes for an excellent exfoliator. spend a few minutes *gently* rubbing onto your skin and you will feel the dead skin just roll off. 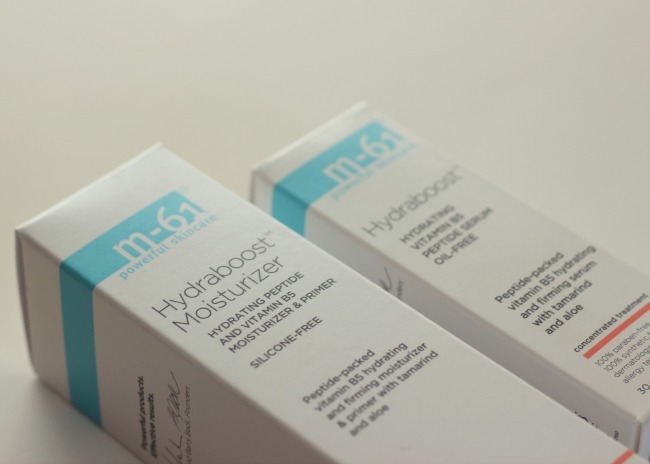 follow this with your M-61 Hydraboost and you have the ultimate fix for dry skin.